Miami, August 2017. 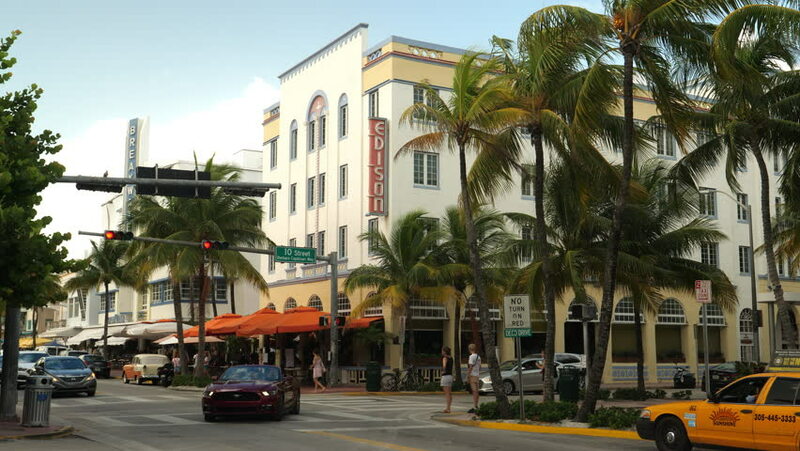 Ocean Drive street corner with hotel Edison. 4k00:19MIAMI BEACH, USA - MARCH 14, 2016: View of the famous Art Deco Colony Hotel in Ocean Drive. South Beach (also known as SoBe), is one of the more popular areas of Miami Beach.